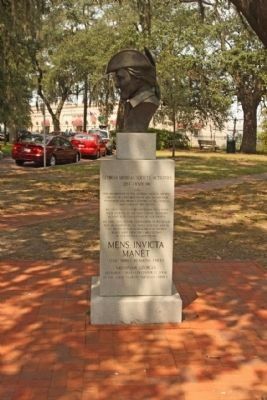 "The Morning Star of the Revolution"
Medical Society fought epidemics in Savannah-Smallpox, Yellow Fever, Cholera, Scarlet Fever, Diphtheria, Tuberculosis, Typhoid Fever and others. The Georgia Medical Society conducted health surveys in Savannah and surrounding areas for Nutrition , Tuberculosis, Hook worm, Venereal Disease and Maternal/Child Health. The membership of the Georgia Medical Society consists of over 400 physicians in Chatham, Effingham and Bryan Counties in all medical and surgical specialties. We trust that future physicians will serve their patients in the same caring tradition as have past generations of our society. 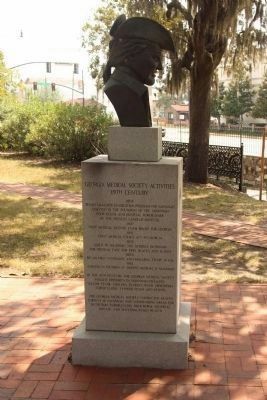 Erected 2004 by The Georgia Medical Society. Location. 32° 4.765′ N, 81° 5.086′ W. Marker is in Savannah, Georgia, in Chatham County. 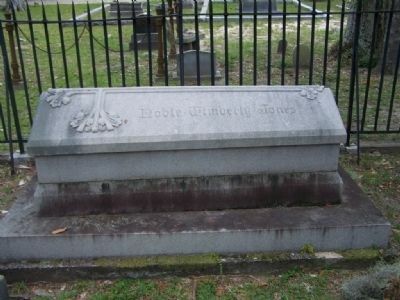 Marker is on Bay Street near Rossiter Place & East Broad Street ramp, on the left. Touch for map. 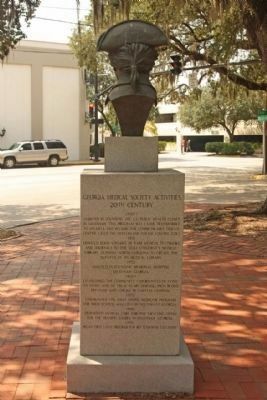 Marker is in this post office area: Savannah GA 31401, United States of America. Touch for directions. 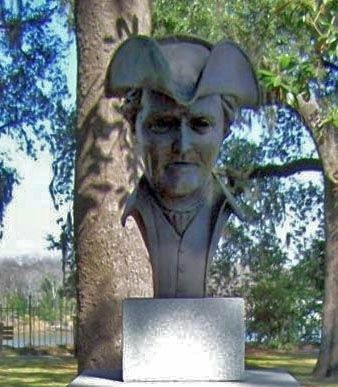 (within shouting distance of this marker); Ironclads and Gunboats of the Savannah River Squadron (about 300 feet away, measured in a direct line); Crossing the Savannah (about 300 feet away); 1996 Olympic Yachting Cauldron (about 300 feet away); New World Medical Plants (about 400 feet away); a different marker also named The Georgia Medical Society (about 400 feet away). Touch for a list and map of all markers in Savannah. More. 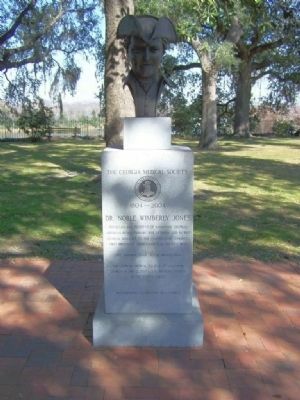 Search the internet for The Georgia Medical Society. Credits. This page was last revised on June 16, 2016. This page originally submitted on February 29, 2008, by Mike Stroud of Bluffton, South Carolina. This page has been viewed 2,167 times since then and 8 times this year. Photos: 1. submitted on February 29, 2008, by Mike Stroud of Bluffton, South Carolina. 2, 3, 4, 5. submitted on June 21, 2012, by Mike Stroud of Bluffton, South Carolina. 6. submitted on September 13, 2008, by Mike Stroud of Bluffton, South Carolina. • Craig Swain was the editor who published this page.